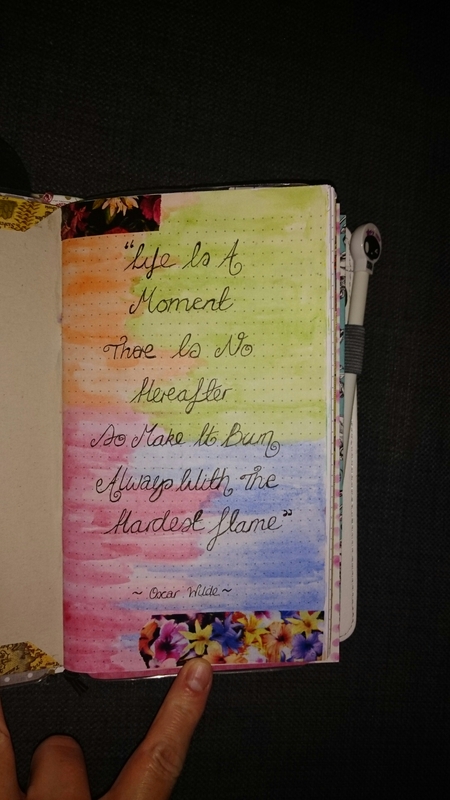 Quotes often carry with them some personal connection, something that resonates with you on a deeper level. I have always scribbled quotes down in my planners and sometimes I end up losing them or they are not all kept collectively together. 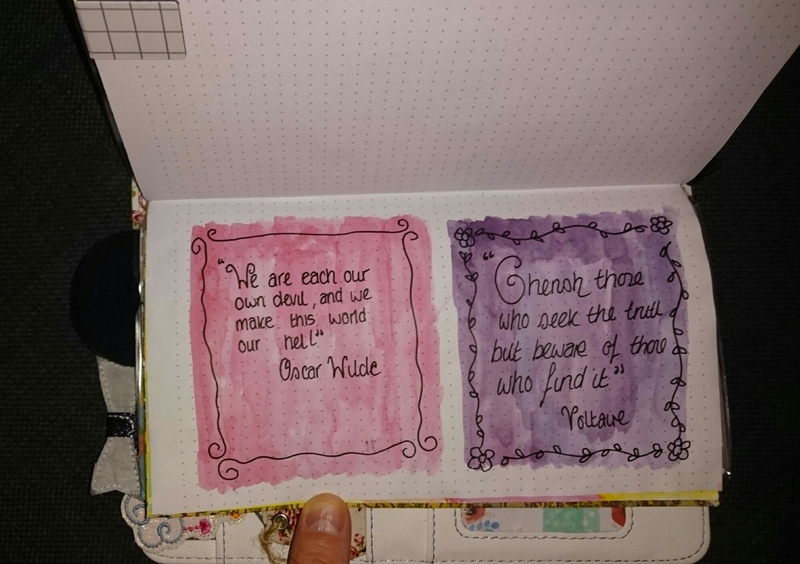 I decided the best way to record my favourite quotes would be to have an insert in my Traveler’s Notebook dedicated purely to them. 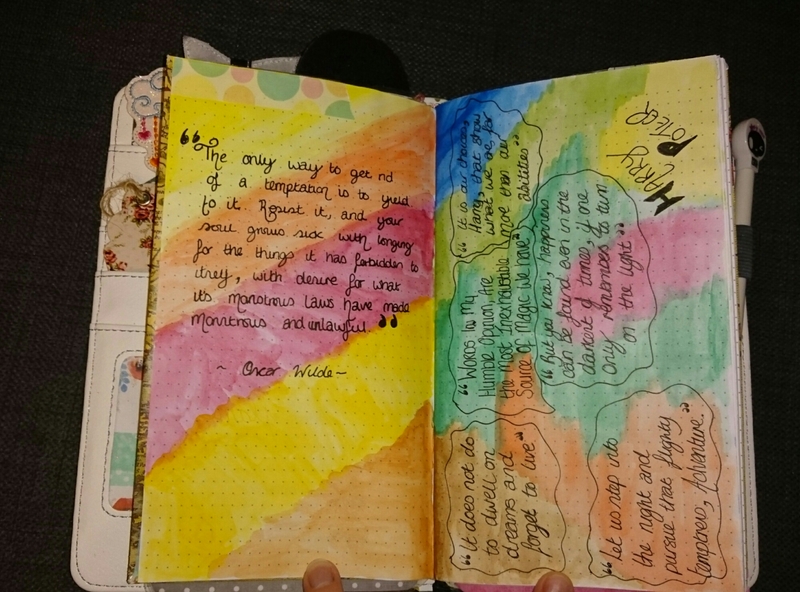 I have used washi and watercolours to make the page pop a little more but I’m really happy with how it is going so far. Now all I need to do is refer to this when I want to read something inspiring. I have always loved quotes, poetry etc… When I was raising my children who were teens at the time I created a chalkboard in the kitchen the size of the refrigerator! It is now remembered as the “Quote Wall” because I would nightly change the quotes for the next day that related to our daily lives.